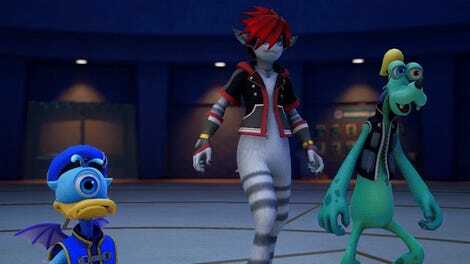 Goofy and Sora preparing to throw down against some baddies. Where were you the first time you heard Utada Hikaru’s “Simple and Clean”? More importantly, which version of the song was it? 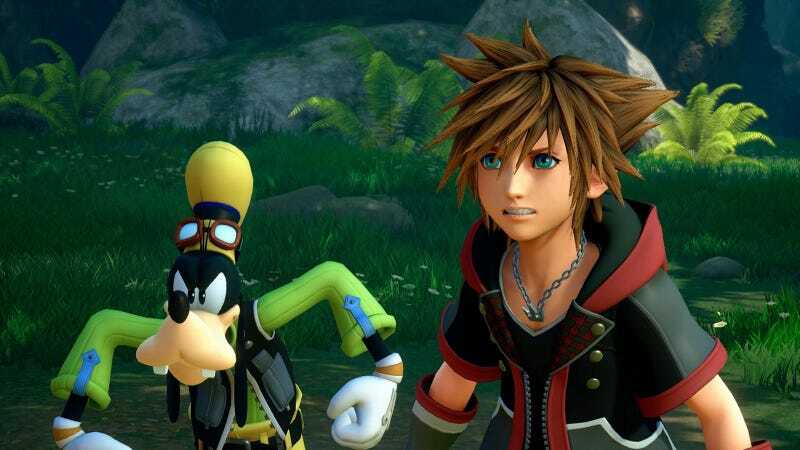 Sony revealed quite a bit of new information about Kingdom Hearts III at this year’s E3 conference, but one of the more noticeable things about the developer’s demonstration was how seemingly out of place the game’s new theme song is. “Don’t Think Twice” is perfectly fine on its own, but it’s mixed into the newest Kingdom Hearts trailer in a weird way that makes it stand out from the rest of the audio bed, and highlights how the music’s energy doesn’t really match the overall tone of the game as presented. It’s become a tradition for every Kingdom Hearts game to launch with an unforgettable theme song, performed by singer Utada Hikaru and released in a variety of different arrangements and languages. “Simple and Clean” and its Japanese counterpart “Hikari” are both moody pop songs with heavy folk influences that play in the final moments of the original Kingdom Hearts—but the versions that everyone’s most familiar with, from the game’s commercials, are the pulse-pounding remixes arranged by PlanitB. The trend continued in 2006 with Kingdom Hearts II’s “Sanctuary” (“Passion” in its Japanese release), another decidedly slow, somber song that benefitted from being introduced with its full orchestral arrangement. The straightforward arrangements of both “Simple and Clean” and “Sanctuary” perfectly capture dark, brooding aspects of Kingdom Hearts’ larger overarching story. But Sony understood that neither song struck quite the right note to set off a whimsical, sprawling adventure game about teaming up with one’s favorite Disney characters. Both songs needed to be reworked a bit to get you in the mood to return to Kingdom Hearts’ world(s), and it just so happened that a bit of electronica was exactly the right ingredient. We’re still seven months out from Kingdom Hearts III’s impending release, so there’s still plenty of time for someone at Sony to get the song’s master track in the hands of a skilled producer to create something wondrous. 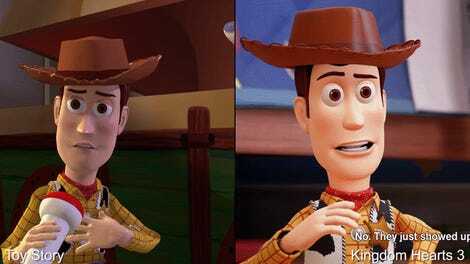 Kingdom Hearts III deserves it, and so do we.